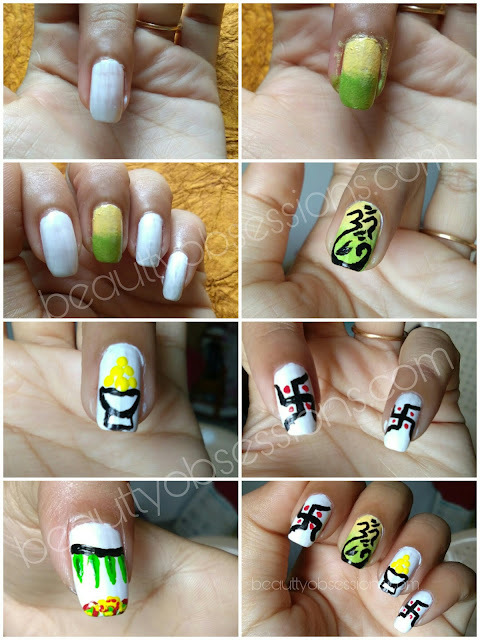 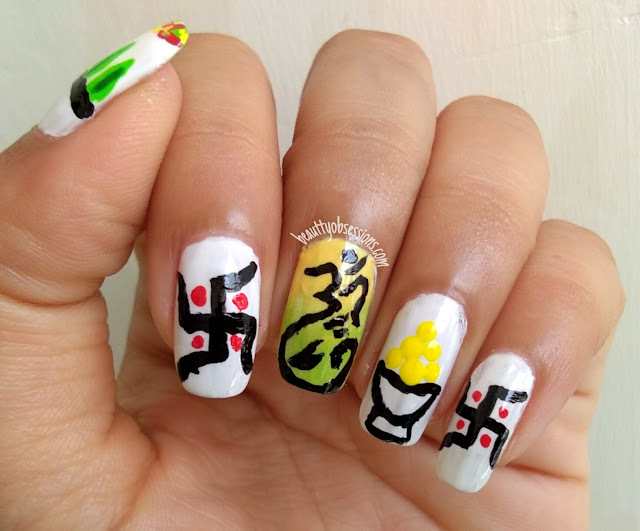 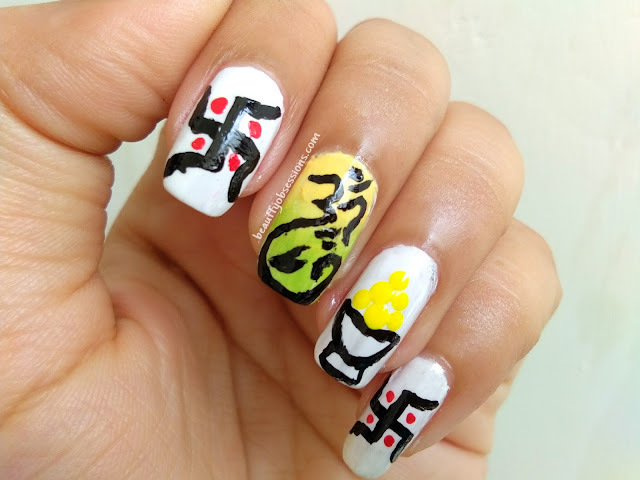 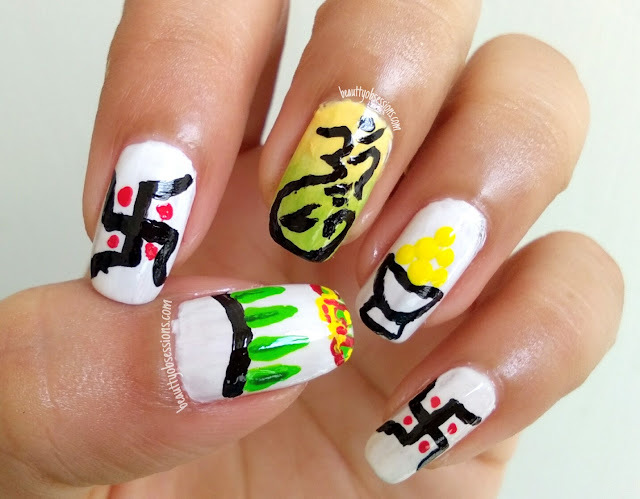 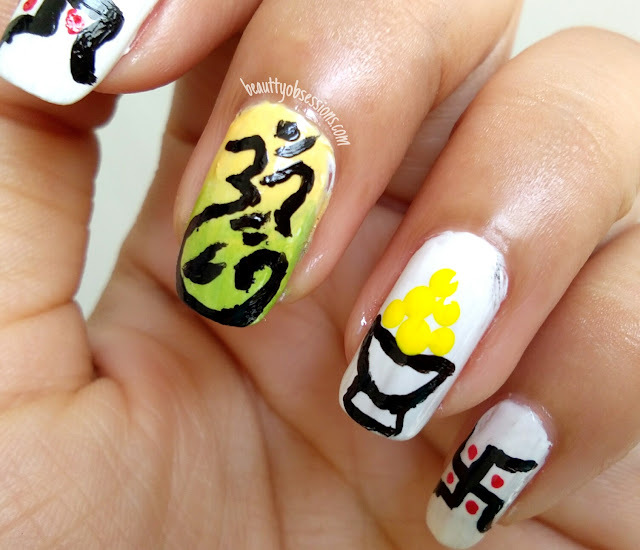 Ganesh Chaturthi Inspired Nailart Tutorial ..
Hope you liked this auspicious Ganesh Chaturthi nailart... See you soon with some amazing creativities . 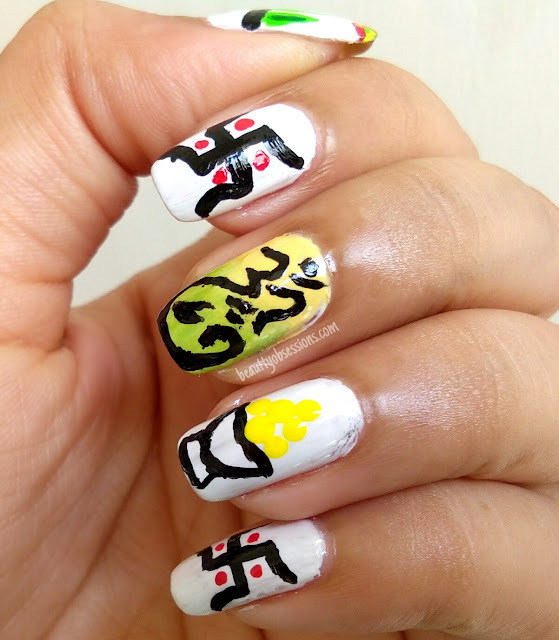 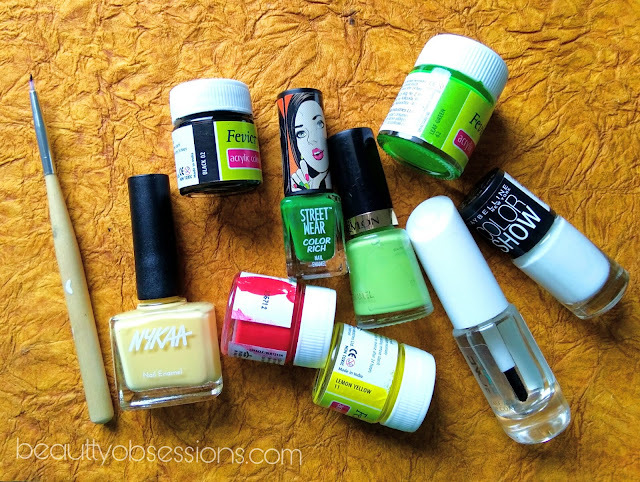 * We 5 women bloggers have come up again with our #festiveblogging series of blog posts. 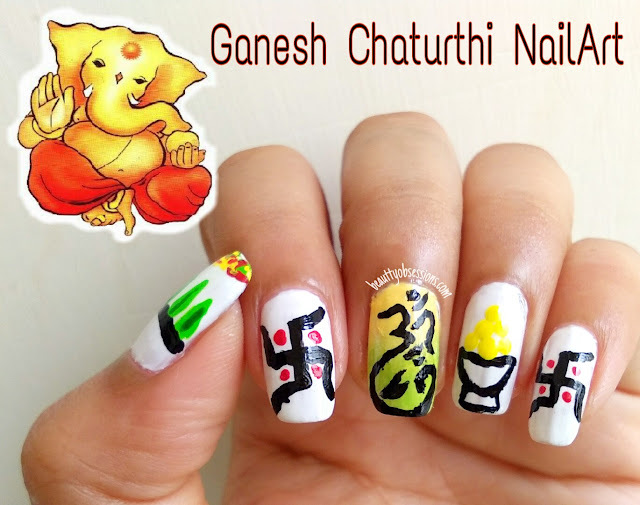 I’m sure you will love this series like our past series #ganpatiblogging. Read the awesome posts of my fellow bloggers..
Festivals are the best occasions to bring out the ethnic look! I love your nail art, it just goes perfectly with the occasion! 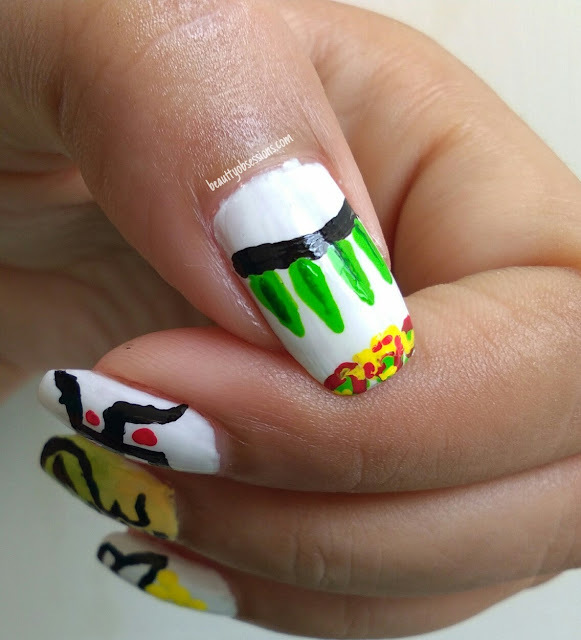 This looks so festive and lively. You are so creative dear. 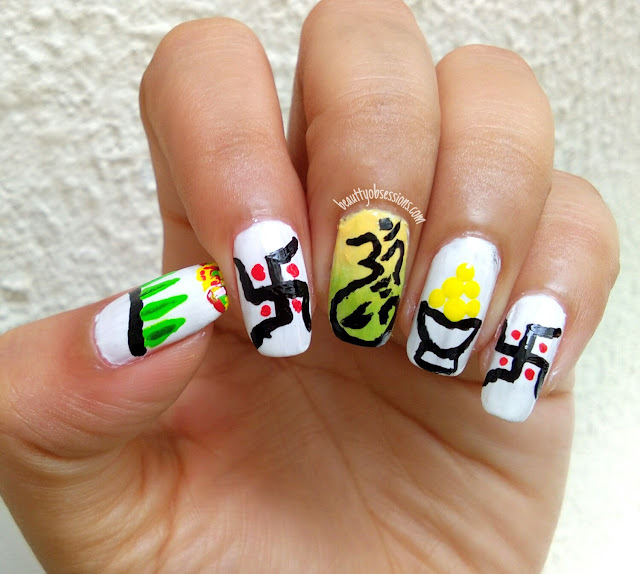 Haha this is cute , creative and totally in the festive spirit! Beautiful , i too love nail art and ur idea is awesome....full festive spirit.